Other companies only give you a tool. We help you understand your data so you can apply it to your business. Our solution is a combination of technology and services. 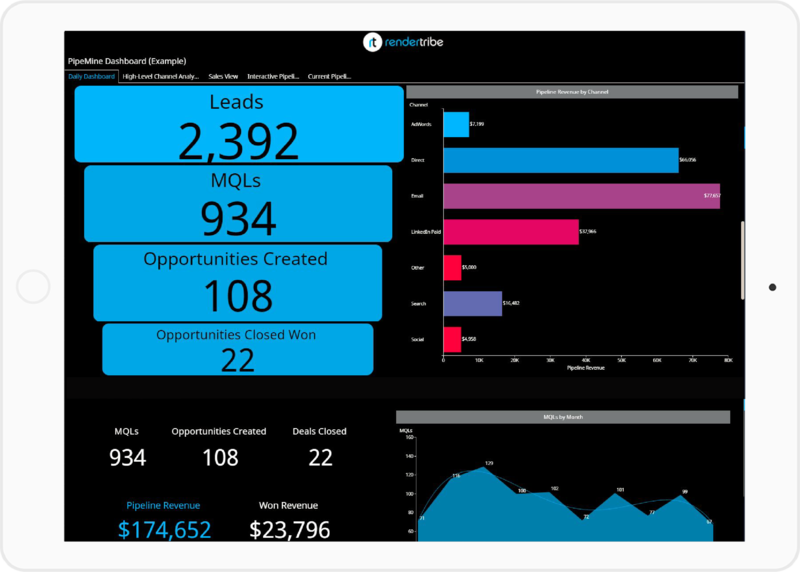 We combine the expertise of Data Analysts and our sales & marketing data model to customize a dashboard to fit your process. We integrate your data through your marketing automation tool, Salesforce.com, Google Analytics and other sources to build you a real-time high-resolution view of exactly where you are winning and losing in your sales and marketing funnel. 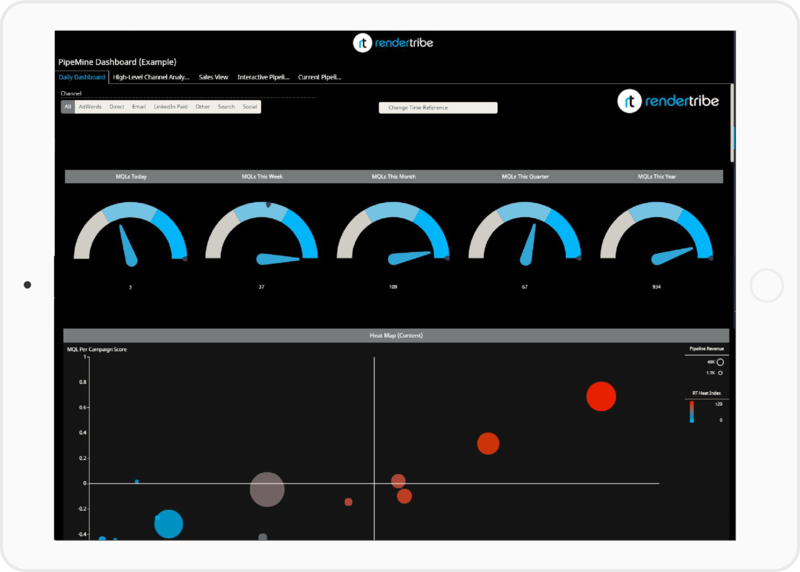 We can help you model a solution and then create a dashboard specific to your company’s KPIs, data sets, sales and marketing goals. We analyze all of your data sources in order to gain a deeper understanding of your sales and marketing efforts and performance- to find out exactly what is driving leads, opportunities and deals. The path to achieve success is hidden in your data. Achieve a high-resolution view of your data in real time. Stop spending your time pulling together fragmented reports of your business. Visibility enables unwavering decision-making. It allows you to see what is actually happening quickly so you can address issues with confidence, using the right strategy, tools and tactics to get you where you need to go. As a CEO, CMO, or VP Sales, you need to know where you stand at all times. Data helps illuminate both challenges and opportunities and helps simplify the most complex conversations. A clear view of data brings you closer to clearing road blocks and helps solve growth challenges as they emerge. Bring your data from disparate sheets and multiple systems into one ultra-high definition view. Ready for results? Get in touch! © 2018 RenderTribe. All rights reserved.